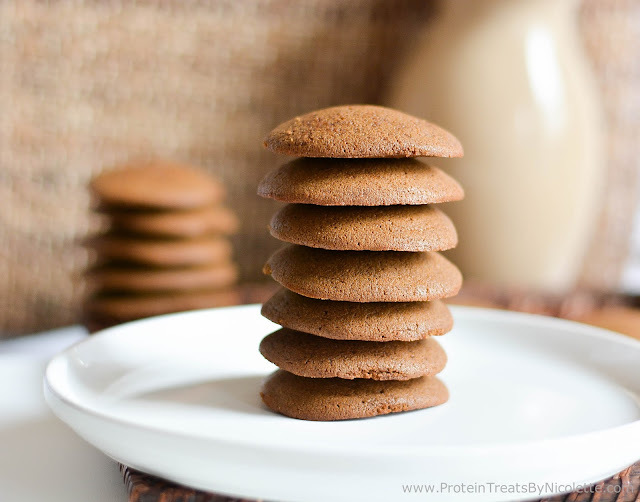 If you've been following my healthy treat recipe journey for a while, you know I really am obsessed with cookies. I also love cinnamon! Naturally, with that said, snickerdoodle cookies are among my top favorite types of cookies. 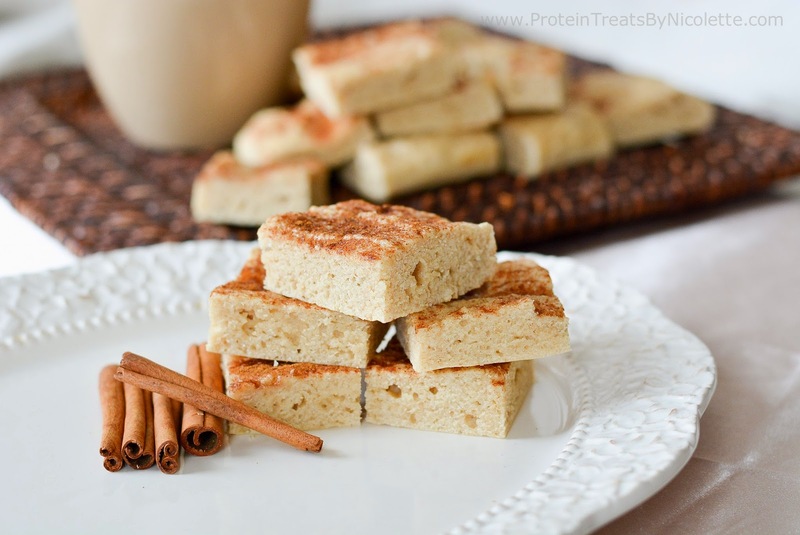 I love them because they aren't too sweet and have that subtle cinnamon flavor. 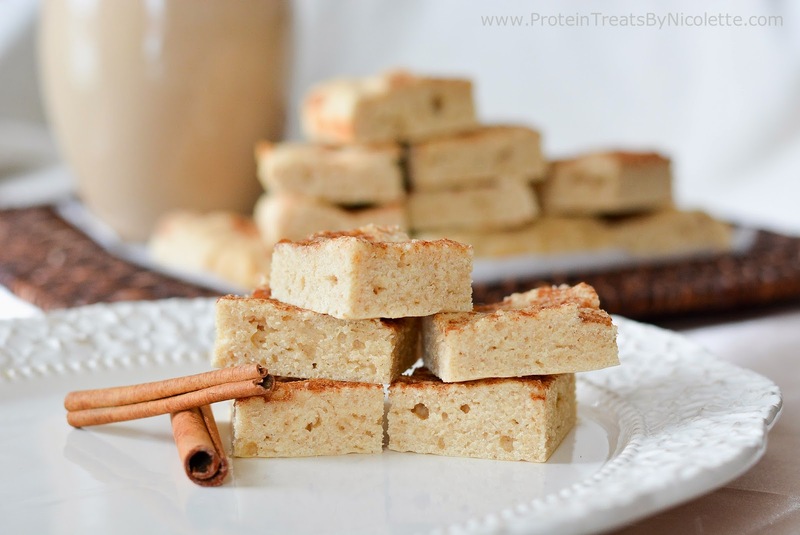 I had an idea to make sugar cookie protein bars but thought....why not add cinnamon? And I , of course, thought of snickerdoodle cookies. 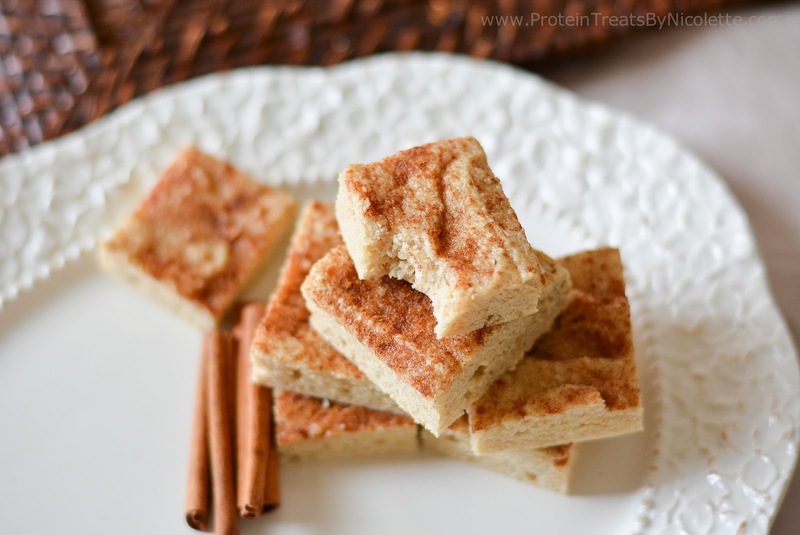 These bars have a soft and chewy texture, much like the cookie. They also have the perfect amount of sweetness. You can really enjoy these for breakfast (they'd be fabulous with a cup of coffee) or for dessert. Enjoy! 2. Stir together oat flour, almond meal flour, protein powder, xylitol, baking soda, baking powder, and cinnamon in a mixing bowl. 3. In a separate bowl, whisk together the remainder of ingredients. Pour this wet mixture into the bowl of dry ingredients. 4. Stir mixtures together until batter is smooth and well combined. Batter will be thick. 5. Spoon batter into prepared dish and smooth down with the back of a spoon. 6. 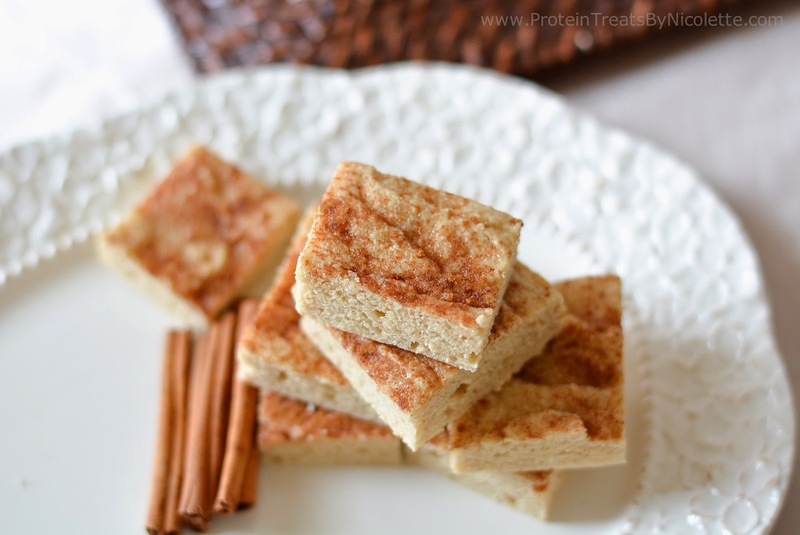 Sprinkle with more xylitol and cinnamon, if desired, and bake in the oven for 10-14 minutes. Let cool for 30 minutes. 7. Cut into 10 even squares. Enjoy! 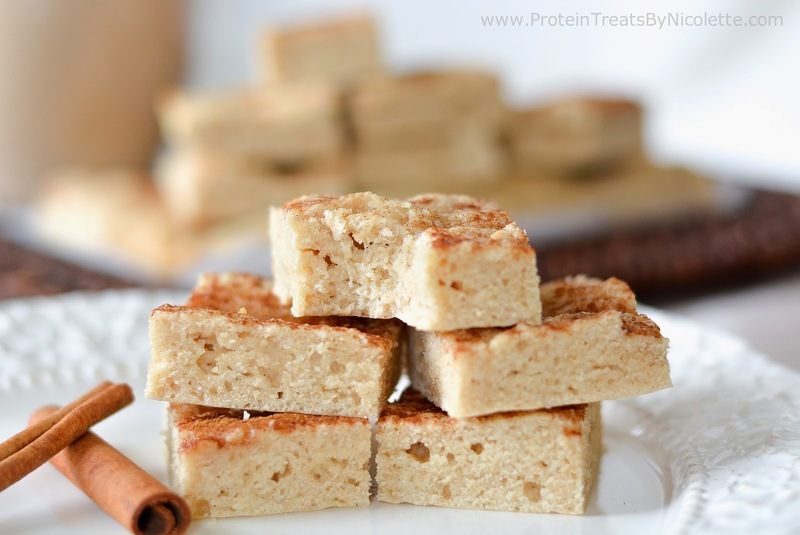 * For a lower carb option, replace oat flour with ¾ cup coconut flour and an additional ¼ cup almond meal flour (¾ cup total of almond meal flour). You can also decrease the carbs by using a zero calorie sweetener instead of using xylitol. * You can use regular coconut oil instead of liquid coconut oil. You will need to melt the coconut oil first and also make sure the milk and eggs are at room temperature.